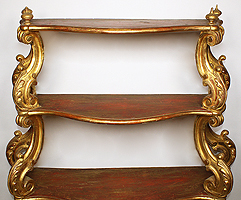 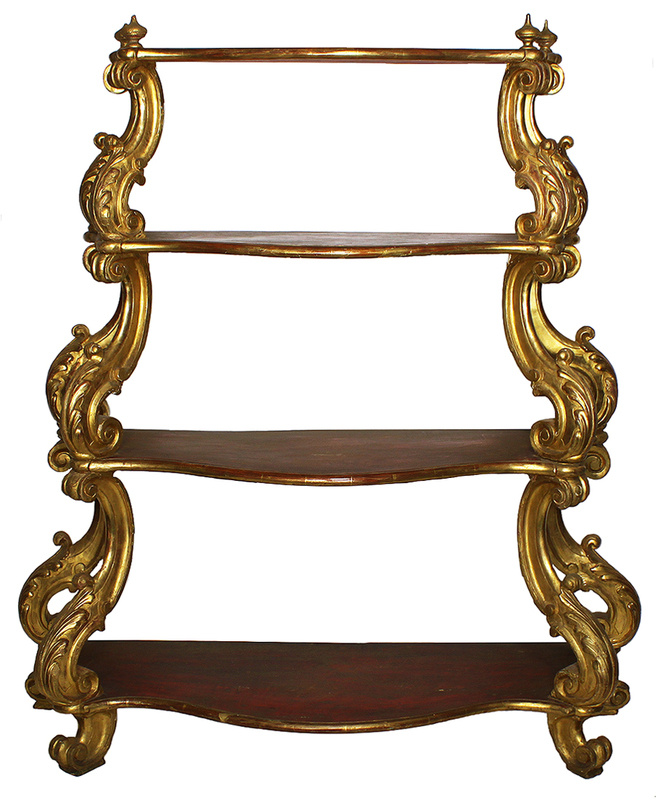 A Rare Italian Venetian 18th Century Renaissance Style Four-Shelved Gilt-Wood Carved Étagère Book or Display Stand. 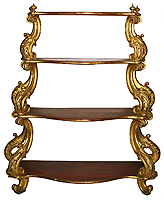 The bowed front shelves, each surmounted with "S" scrolled carved supports and topped with four dome shaped finials. 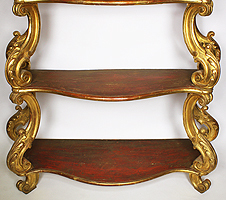 Circa: Venice, 1780.